When Star Trek 2: The Wrath of Khan blasted across theatre screens in June of 1982, we were all treated to a new character that would quickly capture the heart of many of the Star Trek fans. That character was, of course, Lieutenant Saavik. When I made my Star Trek II mistakes video I received a large number of messages due to me pointing out how emotional Saavik was. Now as everyone knows I’m a stickler for canon, and what is seen on screen, which makes it canon, was that she is, in fact, a full Vulcan. The novel by Vonda N McIntyre was among my favourite Trek novels when I was a kid and as such I knew all about the half Romulan connection that could have explained away this mistake. 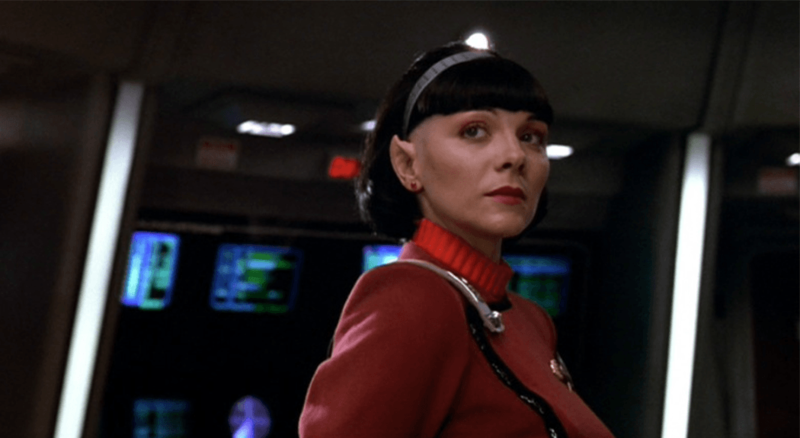 However, I also knew that Nick Myer removed all those references to her being half Romulan considering her emotions to be more impactful to the audience if she was a full Vulcan. Hence the myth was born. It is really unfortunate that this fact didn’t become canon, as it would have added a depth to the character that at that time hadn’t been seen. Having a half human, half Vulcan mentoring a half Romulan, half Vulcan just sounds interesting no matter how you slice it. 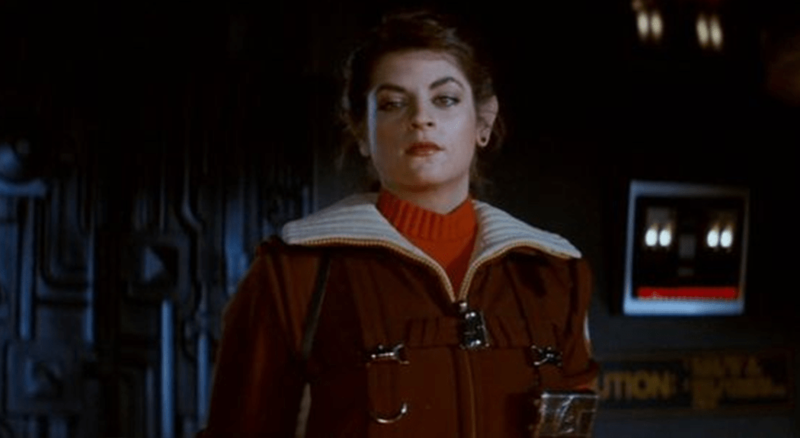 Played by Kirstie Alley in the movie, she added something special to the Star Trek universe. She was intelligent, strong and empowering. In scenes you can see the emotions she has in her eyes alone and that’s a very hard thing to capture for any actor, especially when the rest of your face has to remain stoic and unemotional. 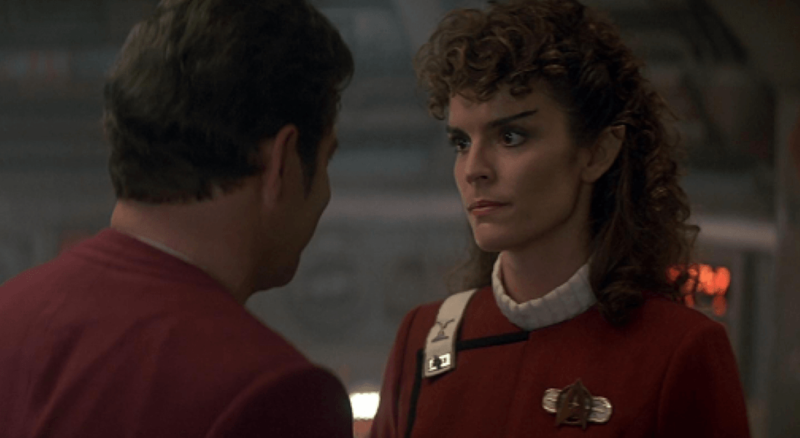 But when Star Trek 3 came along, suddenly we had a new actress, Robin Curtis playing the role, and all of Alley’s great work was undone with a few lines to an actress from the movie director Leonard Nimoy. You see Nimoy, knowing that canonically the character was now full Vulcan, said to Curtis to NOT study Alley’s work and went on to describe what it is to a Vulcan. Curtis took this information and ran with it, making what she believed was the perfect Vulcan, unfortunately, the audience immediately cooled to the idea. Now before I get all the Curtis lovers out there typing up a storm in the comments sections, I want to make a few things clear. First, this video is really about the character and is no reflection on Curtis’s acting ability. 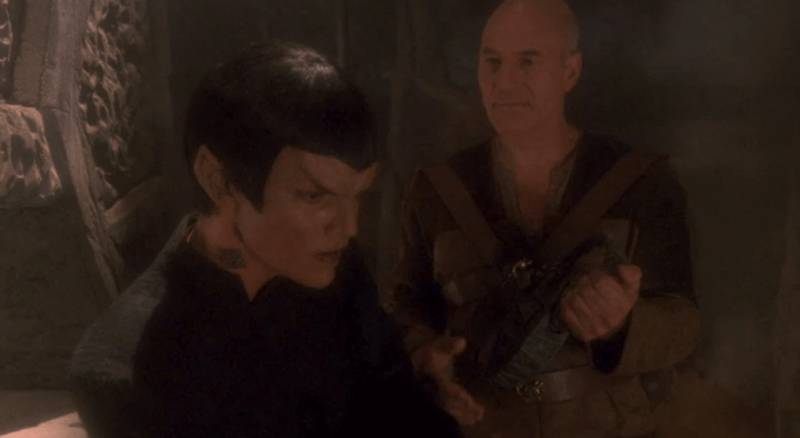 In the Next Generation 2 parter episode Gambit, Curtis returns to play a Vulcan pretending to be a Romulan and does an excellent job with that role, so it’s not about her. Second, when I started conjuring up this episode I decided to validate what I already knew to be true and had my friends at TrekSphere.com run a few polls to see exactly which version of the character the fan base liked more and it was always Always a 70% for Alleys version of the Character. So although 30% of you out there love Curtis’s take, it simply is the minority opinion in the fan community. It was a big mistake for Nimoy to not have Curtis study Alleys version of the character. When you have a character who’s actress is being switched it’s more important to keep some consistency. That’s not to say that Curtis couldn’t have added her own flare to the character, but the 2 versions are like night and day, and because people had seen and gotten used to Alley’s portrayal, it was VERY hard for the fan community to swallow such a suddenly different version. 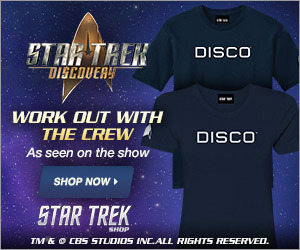 Nimoy was trying hard to prove himself, and I think overall he did. he would, of course, go on to direct the Next Star Trek Film, Star Trek IV: The Voyage Home, and it quickly became a favourite among fans. However in this film, either due to inexperience, or because he wanted to make it truly his film, he gave Curtis bad advice and it shows. So by this point, we had a director that stripped away the references to Saaviks genetic heritage, and another that stripped away all her emotional depth… So what else could happen to this character? Some of you might have noticed the episode is called the 3 Saaviks, and are already saying, but there was only 2… But that’s not exactly true. It’s common knowledge that as originally written Star Trek VI: The Undiscovered Country was to see Saavik return to fill what would become the Valeris role. Director Nick Myer actually asked Alley to return to reprise her role, Unfortunately, she declined to cite her commitment to a little sitcom she was in at the time called “Cheers,” that would not allow her to be able to do that. Was it a good career move, sure, but it was also a blow to fans. Star Trek VI is a great movie. But just step back and imagine how much more impactful the movie would have been had it been Saavik, an established and loved character, that betrayed the Enterprise crew. 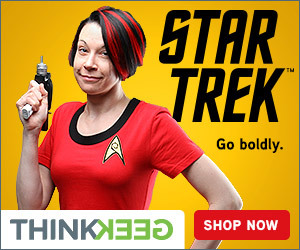 It was really a missed opportunity for Star Trek that couldn’t really have been avoided. Curtis, on the other hand, wasn’t asked to return. After doing extensive research and discussing this with a few people involved with the film and Star Trek in general, the answer for this was simply the fact she was not loved by Myer in the Role and was not loved by the fan base in general. So what option was left? Well either to cast a new person and have her play a new version of Saavik, or create a new character for the audience to hopefully quickly fall in love with and then feel the impact when she betrays our heroes. If you look at Valeris you can see elements of both Alleys and Curtis’s portrayal of the character. She seems to be a hybrid of both versions. But this seems to be amiss. At times Valeris doesn’t seem to be grounded, being what I would term mentally unstable. Myer is a fan Of Kim Catrell the actress who played Valeris, I, on the other hand, am neither for or against her. I’ve seen movies she was great in and others she was horrible in. But I feel she didn’t really fit this role very well. Her face was way too emotionally animated and at times she felt more like the cool girl in early high school that once high school is over goes on a downward spiral and never reaches her full potential. Was she ok in the role? Yes, but being ok only lessens the impact of the movie. Had the role been a Saavik, that impact would have been right to the gut of fans, and hearing Saavik justify, or at least try to justify the choices she made would force the audience to think about it a lot more then some unknown cheerleader Vulcan joking around with the crew. I mean in this murder mystery I think it was quite obvious to the audience, as it was to me, who exactly was the culprit on the ship playing with our crew. Either way, you look at the character of Saavik one thing is certain, the character herself was welcomed with open arms into the Star Trek Community and will live on through the decades and through all the new incarnations of Star Trek, boldly showing what no woman had been allowed to show before, competence!